We are here to provide advice on Carbon Monoxide – from the detection of this silent killer, through preventative measures you can take to protect your loved ones, medical advice if you suspect Carbon Monoxide poisoning and finally the legal recourse available to you should you actually suffer harm. NOTE: Carbon monoxide is colourless, odourless and tasteless; we have no natural way of identifying its presence. Deadly poisonous at high concentrations, recent research suggests that CO has health effects in humans at low and even ultra-low concentrations, and that these effects are mediated through previously unknown mechanisms not involving hypoxia. REMEMBER: Carbon Monoxide is the most toxic substance you'll come into contact with in your daily life - in your home, at work, garage, car, caravan and boat. 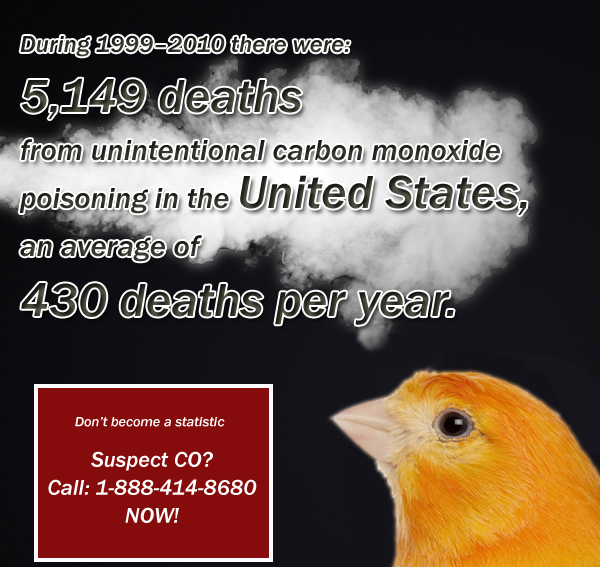 If you suspect Carbon Monoxide is affecting the health of you and your family, it is imperative that you get help you need as fast as possible.